A common feature among UK homes, whether traditional or modern, is the presence of a neat porch. Many homeowners love porches because of the character and visual appeal they add to a home but their use can go further than just visual appeal. To add on to that, modern porch designs have evolved with the use of new materials and new designs, they now readily available to suit a wide range of broad homeowner needs. As things stand, uPVC porches are pretty much one of the dominators of the market and many people are choosing to have them installed. If you are reading this, chances are you are looking to have a porch installed to your home at some point, and this article can provide you with a lot of information that you will find useful to know about UPVC porches. 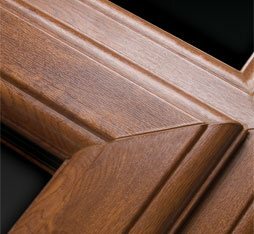 What exactly are UPVC porches? UPVC porches are like the traditional porches that you have always known except for two major differences: they use UPVC as the primary material and they are easy to customize. UPVC is an acronym for unplasticised polyvinyl chloride, it is a material made from plastic that has not been processed or softened using chemicals. It’s becoming more and more popular in the UK construction industry because of its properties that offer a wide range of benefits to homes and buildings. Lightness & strength – great properties for use in frame construction. Long life-span – it lasts a long time. Naturally insulating because it conducts heat poorly. Easy to clean & maintain – unlike wood or metal. Widely available – helps to keep prices down. Recyclable – you can use new frames made from recycled material, helping the environment. 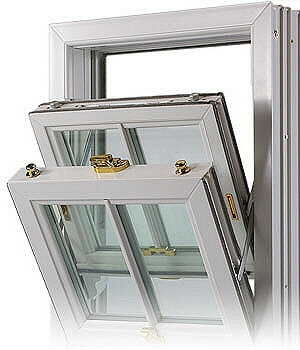 Currently, it is widely used across the UK in the manufacture of windows, doors and even conservatories. The greatest part about UPVC is that you can customise it to come up with your own design. There are quite a number of things that you can work on and tweak to come up with a design that suits you. The frame – A glazed frame can be designed to extend as a roof canopy with options to leave an open front, or have an enclosed entrance area. 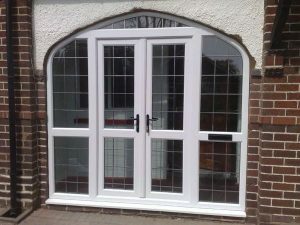 Mixture of material – UPVC can be used with bricks or stone to provide a different design and feel to a porch. Windows and doors – The windows and doors play a huge role in altering the design of a porch. Colour – it has a wide colour range of up to 20 shades. Victorian Porch – featuring mullioned windows with ornamental detailing. Spanish Porch – with the flair and openness of this European style. Farmhouse Porch – rustic styling with pitched roof, pillars and low level brickwork. Colonial Porch – many townhouses use this style that makes use of columns for effect. Craftsman Porch – if you have the room to spare, almost a full width veranda style. How much do UPVC porches cost? There is not really a way to give an average cost guide due to the way each installation is really built to order based on the requirements of the client. But you can say that the more solid walls (brick) that you use, the higher the cost is likely to be. If you are stating from scratch, and need foundations, cavity brickwork and a tiled roof, you need to think in terms of around £1,000 to £1,500 per square metre (around 32 square feet – 1M2 = 10.76 sq ft). If you keep the size of the porch to 3M2 or less, then you could expect to find prices in the region of £2,500 to £4,500 for a full glass sided porch with a fitted roof. 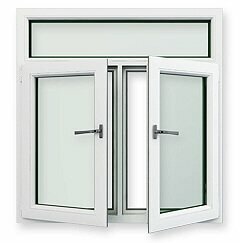 That should include double glazed windows or side panels, 70mm UPVC profiles and a main door . If you want to build it yourself, then you may be able to source the door, sides and poly carbonate roof within a £1,000 to £1,500 budget. Prices will vary a lot dependent on whether you already have a roof & base or if they have to be built new. For some properties it is just a matter of enclosing an already existing covered area. Planning permission for a porch can be a tricky subject – right now you could build one without planning if it is less than 3m high and 3M2 (3 square metres) in floor size. There are also some caveats about construction to the front of a property facing a highway, so check with you local planning office first. Why are UK homeowners installing UPVC porches? A few reasons people are installing uPVC porches is that they add an extra enclosed space to the property, which can be used to free up space inside the house. It’s common for the porch to be used as a cloakroom or somewhere to be able to store shoes or “shake off the rain” before entering the main house, but a well thought out porch can add more. It adds an extra layer of security – you are literally adding an extra lockable entrance door, and therefore immediately makes it more difficult for any potential intruders to get into your home. Aesthetics – a well built and sympathetically designed porch will add to the looks of your house making it more attractive. Modern designs are easy to customise making it possible for anyone to put a personal touch on any home in terms of design, texture, and colour. Due to its properties, uPVC is generally durable and easy to maintain. Once installed, one can go for more than a decade without the need to repair, renovate and there is no need ever to repaint (unlike timber). The material is a type of vinyl. As a result, it is totally waterproof and does not absorb moisture. Moisture absorption is what makes wood swell and when it dries out, wood shrinks. This does not happen with UPVC, and so the doors or windows in the porch don’t get leaky or jam. 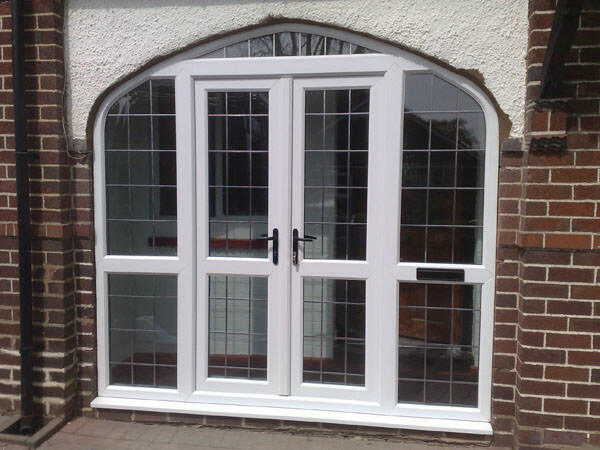 UPVC porches can be double or triple glazed with toughened glass that makes the material sturdier and secure. Security is even more improved with the window and door elements benefiting from multi-point locking systems. UPVC has insulation properties, this means that it can trap heat outside and prevent it from going inside the house during summer and the other way around during winter. As a result, homes with UPVC porches, windows and doors tend to cut back significantly on energy costs. 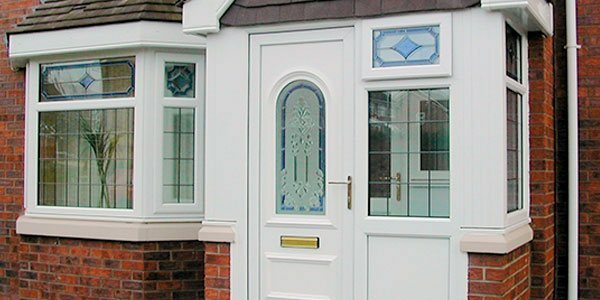 Is a UPVC porch better than a traditional porch? – final thoughts. 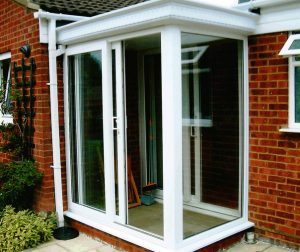 As far as use is concerned, a UPVC porch is not really any different to a traditional porch made of wood or bricks. The difference generally lies mainly in the lower cost of installation, upkeep and in that UPVC porches can easily be customized. However, historically, UPVC may have had some characteristics that some homeowners were not very fond of. For example, older designs had thick and chunky frames that many felt looked ungainly or cheap. Modern manufacturing now allows for slimmer reinforced frames to improve the overall appeal. In combination with a choice of colour and timber grained surfaces, you can nowadays perfectly match this type of porch to your property. 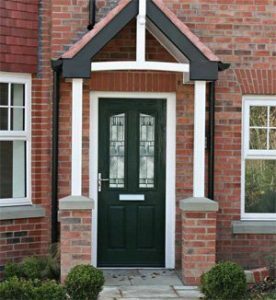 If you are looking to install a UPVC porch on your home, you are definitely making a great choice.